George Jessel was a screen, stage, radio, and television actor and comedian. He was also a film director, composer, and screenwriter. George Jessel was born in New York City on April 3, 1898, the son of Joseph Jessel, a playwright, and Charlotte Schwartz. As a child he sang at his grandfather's lodge meetings, and when his father became ill he left school to sing on the streets for money. His first professional work (1909) was as one of the members of the Imperial Trio who provided singing accompaniment to silent films in a Nickelodeon. In 1910 Jessel became a part of Gus Edwards' "Boys and Girls," a popular vaudeville touring show. He left Edwards in 1914 to form his own act with Lou Edwards, "Two Patches from a Crazy Quilt." This act took him to London, where he toured for several years and also appeared at the prestigious Victoria Palace. Upon his return to the United States in 1919 he appeared in Gaieties and then wrote, produced, and acted in The Troubles of 1920. The success of this production led him to do a sequel, The Troubles of 1921, which included his popular songs "Oh How I Laugh When I Think How I Cried About You" and "I'm Satisfied To Be My Mother's Baby." In 1922 Jessel wrote and produced a solo act called George Jessel's Troubles. This show introduced the beginnings of what was to be his acting trademark— conversations with his "mother." His classic monologue routine started with Jessel talking on the phone to his mother, assuring her that he knew nothing about the missing money or the cookies missing from the house. In Passing Show of 1923 the act was expanded to include a mother on the stage, replying as he tried to make up excuses. Jessel continued to develop this role over the years, which became known as "Hello Mama." The act exemplified George Jessel's style—light banter with a sentimental twist and ethnic Jewish humor. In 1925 Jessel landed the part of Jack Robin in The Jazz Singer. Although this role was not comic, it became his most popular theater role, which he performed over 1,000 times. It tells the story of a rabbi's son who yearns for the stage yet gives up his career to return home to his family. Jessel was praised for his poignancy in the role. The play became more famous for its film adaptation with Al Jolson in the leading role. According to Jessel, he passed up the opportunity to star in the film because the ending was changed—the performer did not return to his home in the movie, he remained on the stage. In 1928 he played the part of Eddie Rosen in War Song, the story of a Jewish song writer who ends up on the front lines in World War I. In 1930 he appeared in Billy Rose's Sweet and Low with the famous comedienne Fanny Brice. He followed this with Box of Tricks (1931), for which he wrote the lyrics, music, and sketches; designed the sets and costumes; and also acted. In the same year he reunited with Eddie Cantor, a close friend with whom he had worked in vaudeville, to do the Cantor-Jessel show at the Palace (an old vaudeville theater). An enormous success, the show was held over for six weeks. Jessel's stage producing work included High Kickers (1941) and Showtime (1942). Both of these shows were about the old vaudeville days, and Showtime, due to its success, was heralded as being responsible for vaudeville's return to the legitimate theater. Jessel's first movie came in 1911, when he made a test film with Eddie Cantor directed by Thomas Edison. His real film career started in 1926 when he made Private Izzy Murphy. He also appeared in Lucky Boy, for which he wrote the dialogue and which featured a Jessel song favorite, "My Mother's Eyes." Other film credits include Love, Live and Laugh, Ginsburg the Great, and Happy Days. Modern audiences may know him best for his appearance in the 1967 film Valley of the Dolls. Jessel also produced many films, including The Life of Haym Solomon (1937), The Dolly Sisters (1945), and Tonight We Sing (1953). 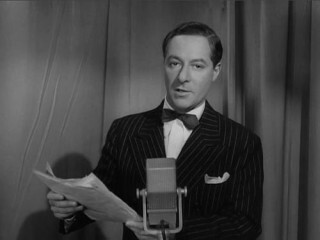 George Jessel began his radio career in 1938 with Jessel's Jamboree, and he also was host on radio of George Jessel's Celebrity Program (1940) and The George Jessel Show (1958). He hosted two television shows, George Jessel's Show Business and Here Come the Stars. In 1965, after a long absence from the stage, Jessel returned to tour in cabaret shows with Sophie Tucker and Ted Lewis. He spent a good deal of the 1960s entertaining the troops in Vietnam, which he also did in 1972 and 1973 at bases in England and Germany. In 1972 he gave a solo performance at Carnegie Hall to packed houses and in 1975 the multi-talented man did a U.S. tour of That Wonderful World of Vaudeville. In addition to acting, producing, and radio/television work, Jessel made many recordings for which he was praised for his "rich, vibrant, baritone voice." He also wrote several books, including Talking to Mother (a series of comic telephone conversations); We Have With Us Tonight (after dinner speeches); his autobiography, So Help Me (1943); and The World I Lived In (1975). George Jessel was named Toastmaster General of the United States by President Franklin D. Roosevelt for his over 300 after-dinner speeches in support of political, humanist, and social causes. A fervent supporter of Jewish and Israeli causes, he was the vice president of the Jewish Theater Guild and received the Man of the Year Award of the Beverley Hills B'nai Brith in 1975. He also was made honorary member of the U.S. Air Force in 1952 and received the 1969 Jean Hersholt Humanitarian Award from the Academy of Motion Pictures of Arts and Sciences. George Jessel had four wives and one daughter, Jerilyn, from his third marriage. He died of a heart attack on May 23, 1981, shortly after appearing in the award winning film Reds (1981). View the full website biography of George Jessel (actor).